Printsmart Displays are specialist printers of High Quality Durable Outdoor Fabric Banners and Signs at great prices. Any size or shape , all outdoor banners are custom made. Longer life, light weight fabrics are quickly becoming the new style of outdoor banners. Lower costs, excellent finishing and very easy to install make them a very viable option to the traditional vinyl banners. ON TIME – Fast & Efficient Production. Durable Outdoor Fabrics – Hi Resolution Printing – Premium Stitching and finishing. Artwork – Services available. Proofed quickly back to you. Any Size or Shape , Custom made to suit your Requirements. The digital printing quality with very high resolution production, means vibrant graphic images and crisp clear text. We supply a complete range of various Outdoor Hanging Banners. Whether for a Shop Front, Shopping centre, sporting events, Wall, Fence, or Office Building we have a outdoor fabric banner solution for you. Call our Team today for an immediate quite and advice on finishing and fixing – Call 1300 556 589 With years of experience in producing outdoor fabric banners for many clients through out Australia we can provide a number of different materials to suit your location and fixing requirements. All the prints are produced at high resolution using the latest dye sublimation printing process on a variety of durable, long life fabrics. Every location and circumstance differ and usually requires a specific solution as to the size and how the banners are to be fixed in place. We work with you to understand the best options for how to fix the print in place allowing for the various weather factors. Banners from a smaller 1m x 1 metre to a larger 3 metres x 25 metres can be printed and finished to your specifications on a variety of different outdoor fabrics. The real benefit of outdoor fabric banners is they are able to folded down to a small size and are easily packaged and shipped anywhere in the country. Some clients may take them as on board luggage on a plane when urgent to set up at the end destination. We use eco solvent uv resistant inks for long life colour fastness. Excellent stitching, hemming and finishing means all our banners can look great for a long time in any situation. There is a wide variety of solutions for finishing such as attaching to flag poles, advertising rods, hanging from buildings, fences, free standing signs or shop fronts. We pride ourselves on providing great customer service , from artwork and design to fast production and turnarounds. Our friendly team would love to be able to discuss the options available to ensure that you get the best outdoor fabric banners at the best price. Please call us today on 1300 556 589. There are many types of effective fabric display options available when you are looking at either short term or long term external signage. Where a hard print surface is not required , the flexibility and ease of installing material signs is a good option. Printsmart Displays offer High Quality, Low Cost Production and Finishing. 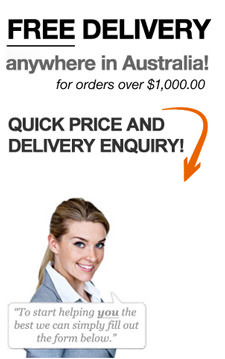 We are able to deliver to any location in Australia quickly and economically. For detailed information and a super competitive quotation for custom Outdoor Fabric Banners in Brisbane, Gold Coast, Sydney, Melbourne, Adelaide , Perth , Canberra, Darwin, Sunshine Coast, Newcastle please call today on : 1300 556 589 . Our team would love to help you.